There are some concepts you just wish were real. This is one of those. We've featured Mark Senger's sweet animations before and his latest one leaves us slack-jawed, reminiscing on the classic design of early 20th century automobiles which Mark so beautifully transforms into a triumphant return to the style that defined a generation. Mark captures it all in this montage of KeyShot animation and b-roll footage that presents the "striking new styling" of Buick's Bombrunner. Be sure to check out or Gallery with renderings, animation and KeyShotVR's from our customers and stop by our Facebook page to share your renderings and animations! 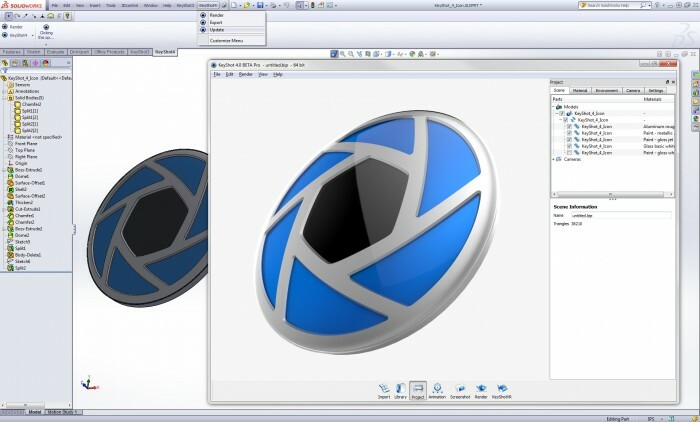 What are SolidWorks Users Saying About KeyShot 4?